One of the most fun aspects of beekeeping is watching how amazingly self-sufficient bees can be. 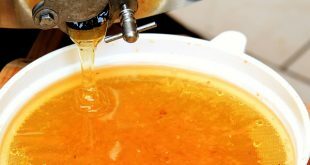 After a colony is created, it has the capability to find, recover and use resources all around it – as well as manufacture honey for its future needs. 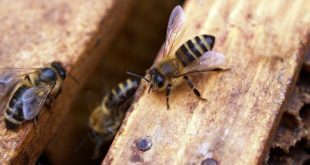 As a general rule, all beekeepers want bees that can take care of themselves and make beekeeping easier. But this is not always the case. Wild hives can exist for hundreds of years with no help from us humans, but not domesticated bees. There are some situations that arise where your bees may need a helping hand. These situations are temporary and may involve the use of bee hive feeders. A bee hive feeder is a piece of equipment that beekeepers use in providing extra food resources for their bees. Of all the equipment or accessories available for bees, the feeder is plausibly the one with the most options. What Type of Bee Hive Feeder is The Best? Where to get bee feeders? Bees have to be fed with sugar during the time when they cannot or do not have enough honey to sustain themselves. When the weather is not favorable or if the colony is new, beehive feeders have to be used. The process of the bees collecting honey in their hives is simply to sustain the colony during winter. A shortage of nectar is one of the main reasons and this is caused by the unavailability of flowers used for nectar. You will generally find bees eating stored honey when they are unable to get nectar. When this happens, a beekeeper must support the colony while keeping a close eye on the hive. After their honey stockpiles have all been eaten up, the chances of survival become slimmer. The solution is to provide the bees with food by simply feeding them with quality white sugar. You will also need these feeders to administer bee medication by mixing medicine with the sugar syrup. Move the colony to a new location where there are many flowers available to produce nectar. The second option is feeding the bees with white table sugar or make a syrup with the sugar and water. If you leave a beehive feeder in the hives during the whole summer, you are doing it wrong! The general concept of bee feeders is to provide a very targeted helping hand to the bees when they need it the most. You should ensure that you let them take care of themselves at all other times. The natural food sources available to bees through foraging is the best for their needs than any other man-made food source. So as much as possible, let your bees be self-sufficient. One of the most important times to use a bee hive feeder is when a new colony is created. You will effectively be placing your bees into their new home with absolutely no food. Without providing food, you are basically sending your hungry bees out to forage for food. This will put them at great risk of survival and if they are unable to gather food fast enough, they will not quickly establish a thriving colony. Therefore, it is recommended that beekeepers install a feeder when the hive is being set up for the first time. There are 3 common bee hive feeders, so you can choose any that suits your personal beekeeping style or unique needs. Entrance feeder or ‘Boardman’ feeder is the most common and affordable bee hive feeder available. It is usually included in most beehive starter kits and comprises of two simple parts: an upside down syrup container that can fit nicely into the feeder and a feeding tray that is placed inside the hive entrance. An entrance feeder makes it easy to see just how much food is available and is easy to refill. 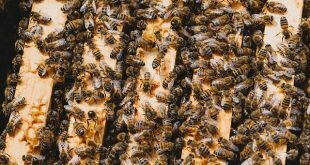 Unfortunately, they don’t hold much feed and perform poorly during cold conditions because the liquid will freeze and the bees may be unable to get to the feed. Most beekeepers believe that this feed can encourage robbing as bees from other colonies can gain access to the entrance and steal the feed. Also, because it is partially in the open, it is more difficult to administer medication. The exposure to the sun can cause the feed to spoil faster. These feeders are also known as candy feeders. They are placed inside the hive as spare frames and are cleverly designed to change into sugar boards. They are a great choice because they fit perfectly well inside a hive and are less likely to induce feed robbing. Filling a honey board feeder is also easy and you don’t have to fill it frequently because it can hold more feed. However, they also have some peculiar problems. When it is poorly constructed, this type of feeder can overheat during the summer and drip into the frames underneath. 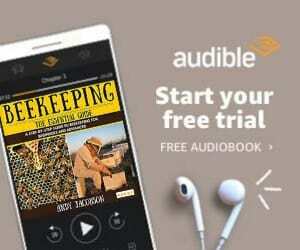 It can also attract ants thereby introducing infections into the hive. These are feeders that are placed on top of the beehive. Sometimes they are placed in an enclosed empty super. It is recommended that they have a cover, particularly to protect the feed from other animals or gusty winds which could dislodge the feeder. The containers are usually very large, so they can hold a lot of feed, and because it’s not exposed to the open air, the syrup won’t spoil. The downside is that the feeders can be very bulky and takes a lot of space. Many of the commercial beekeepers use this type of feeder because it is perfect for beekeepers with many hives. There are also some feeders not commonly used, but still preferred by some beekeepers. These are constructed in the open and not recommended by many expert beekeepers. Open air feeders attract different types of wildlife such as birds, wasps, skunks, raccoons, bears, possums and more. Also, bees that use open feeders can quickly transfer diseases and parasites among each other. Another downside to this type of feeding method is that bees using open feeders tend to fight, making the hive even weaker. This will fit on top of your hives’ brood boxes, under the cover. It can take a lot of syrup and is very easy to fill with feed. Each feeder is constructed in a clever way to keep the bees from drowning – drowning is common when a feeder can take a lot of bees. One downside to this type of feeder is if for any reason you need to move it, the syrup will spill everywhere. Also, without a mold inhibitor oil, these feeders can get very moldy and sticky. Baggie feeders are simply 3-inch deep supers that offer you an area to place a plastic ziplock bag filled with syrup. When the bag is installed, just cut it open a small slit with a utility knife and the bees will drink the liquid through the opening. Most times, baggie feeders are sucked dry with no dead bees to worry about. You may get several bees that crawl under the bag and die but, generally, your bees will do well with baggie feeders. Baggie feeder should not be used outside if the temperature outside is below 50 degrees Fahrenheit because the hive will not leave their warm cluster to feed. But if used inside, the heat from the cluster will keep the syrup from freezing, and the bees will have no problem feeding in their comfort zone. The bad news? Well, once the bag is slit open, you may not be able to move it because the plastic bag might rip open during the move. This is a common question asked by many new beekeepers and the answer is really simple. None is perfect! 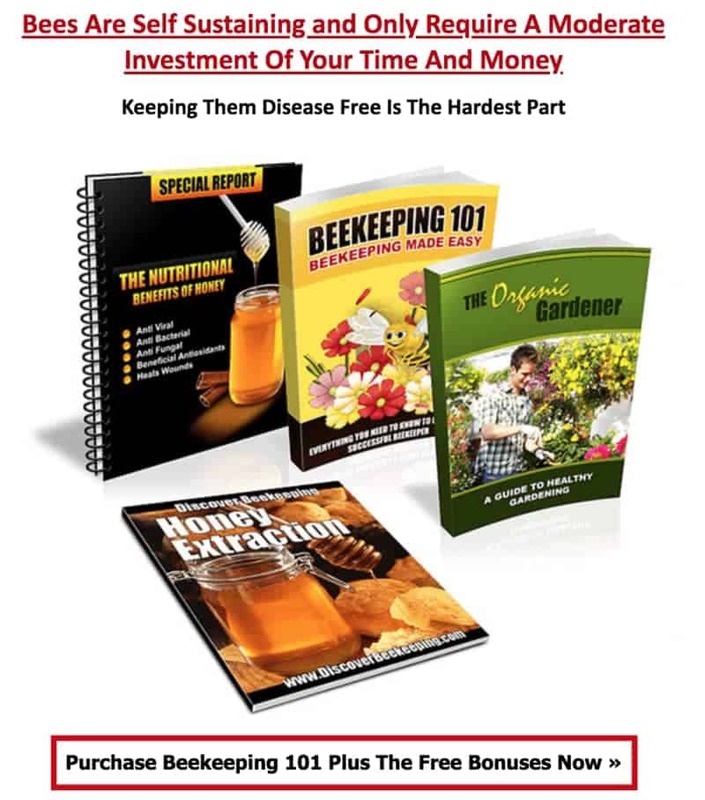 Each feeder has its own downsides and even though some expert beekeepers are pretty opinionated about the topic, it is really up to you. Every beekeeper has different needs and will use a different type of feeder based on their weather, bee size, locations, type of feed and many other factors. Try different feeders and see what works best for your hive. If you live in a hot or very cold region, take the weather into consideration as you choose the right feeder. Also, take the number of bees in the colony into consideration. If you have a huge number, then an entrance feeder may not be the appropriate choice for your hive as it will require frequent fill-ups. Remember that feeding your bees should be a temporary measure and not a long-term one. As your colony starts to thrive and the bees start foraging more, they will no longer need the support. As long as the bees have diverse and rich resources, they will start gathering nectar, making honey, storing for the winter and even leaving feed in the feeder. When the colony grows in strength, it is time to remove the feeder. Take a look at our recommended list of Bee Feeders here, which can all be purchased online; Amazon is a great platform to get them from as you can see previous customer ratings and reviews of the bee feeders.